Now to be honest that 38,318 blog posts number was made up and probably a gross underestimate but who cares how many they really are, its only purpose was to grab your attention. If you leave with nothing else today, I want you to remember this. To stand out online (and make money), you have to first GRAB attention and you can’t do that if you don’t know whose attention you want to grab or what even interests them. 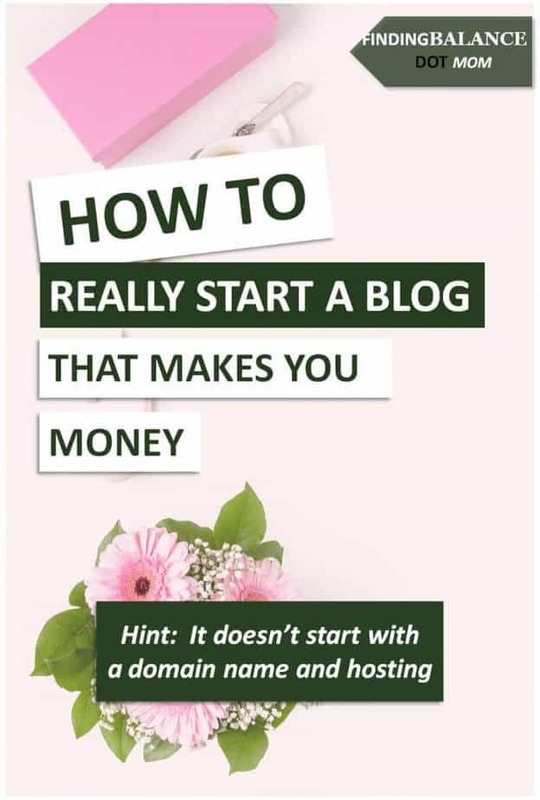 That is why starting a blog that makes money DOES NOT start with buying a domain name and hosting, it starts with the question “Who do you want to serve?”. Because let’s face it, if you start a business that serves no one, it does absolutely no one any good, most especially you. So, if this is the first blog post you are reading with this perspective, you are NOT going to start your blog today. Psst! 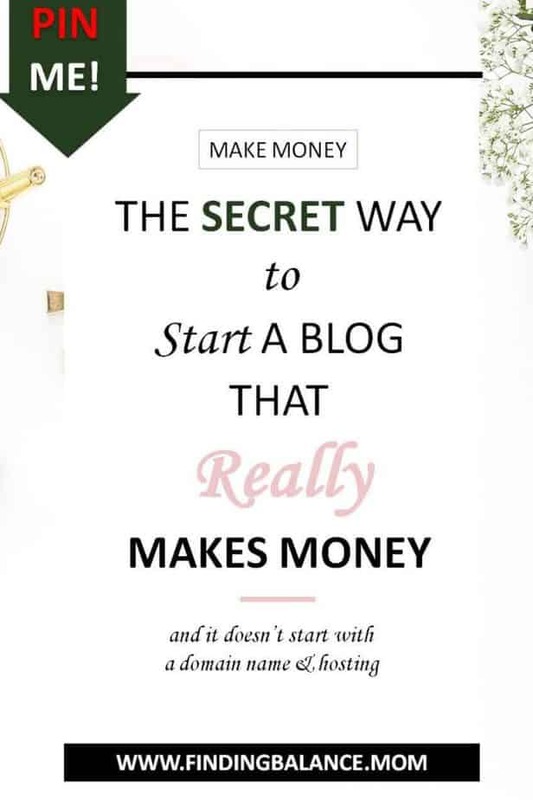 Only interested in learning how to make your own blog, skip to this post or let me set it up for you for free. I’ve attached a pretty detailed blog plan you need to work with at the end of this post so yes, there’s a lot of work in the beginning. But. When you do create a blog, you will do so with the confidence that you are building one of the very best businesses for a stay at home mom. You’ll have a clear marketing strategy, and start seeing results sooner because really, this is the easiest way to make money blogging. Surest is same thing as easiest right? You choose a college degree with the end in mind, you start baking a cake with a picture in mind, you even have a fuzzy picture of what your family should look like in the future right? The same thing goes for starting a business, you decide what you want out of it and everything you actually do in between your now and the end goal somehow has to align with what you are aiming for. So why not so with a blog? The biggest mistake new bloggers make, apart from trying to start a blog for free, is doing random things and hoping one sticks. And do you know what happens? They burnout before anything sticks. How much do I want to make monthly? (For inspiration, my Blog Income Reports pinterest board for moms in all niches). Why is this step important? 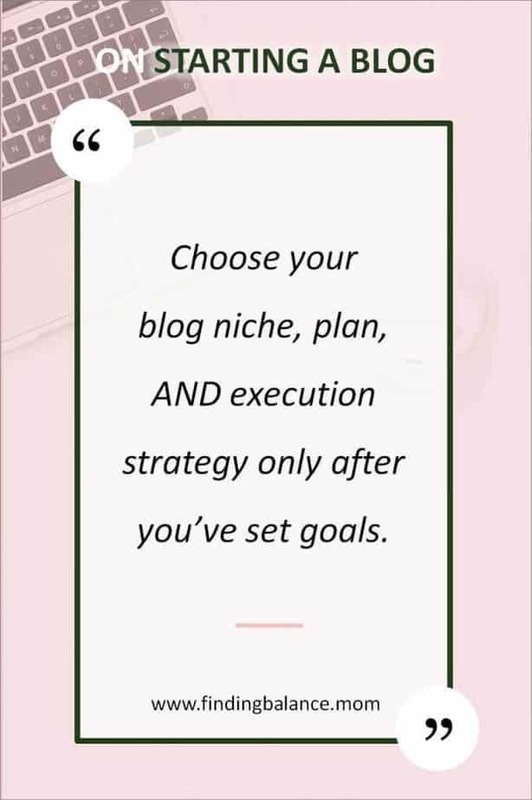 Your blog niche, blog plan, or strategy will differ depending on what you want in the end. The way to build a brand that attracts a loyal following is to target a particular set of people. These people hang out together and are more likely to recommend you to their friends because you speak to them, it’s like your business was made just for them. It’s not the same thing as simply choosing a niche. Someone who does this really well is Kara Fidd. She’s a graphic designer but instead of simply casting a wide net for everyone who needs graphic design, Kara focuses on teaching graphic design to grow your blog, and her results have been amazing. Another great reason why a target audience is important is that you will come to discover that with blogging nothing is set in stone. It is so much easier to change or expand your blog direction when your audience is mostly interested in the same things. What do people say you know how to do? Are there others doing what you want to do? Are you comfortable with the common monetization technique? Like I currently don’t believe in ads because I feel that they can dilute a brand. Would it be possible to use another model? How much effort and time will it take to make money out of it? 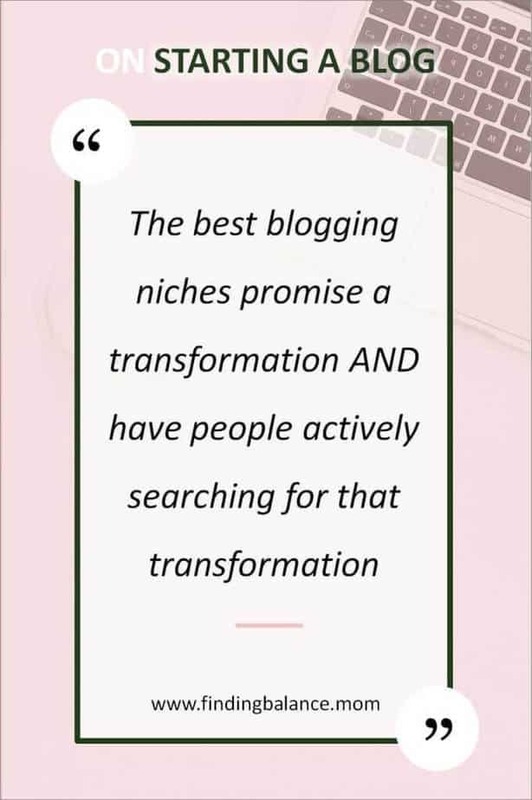 Still need some help with choosing a niche, here are some tested and tried blog niches that always do well (top money makers in blog industry). Hint: They all promise a transformation AND they all have people searching for that transformation. Take your time with niche choosing, it’s one of the important reasons why blogs fail. Pinpoint your perfect profitable niche in 30 mins or less with the Niche Choosing Playbook. We are focusing on niche choosing so much because it’s really that important! It can literally decide if you get to make money blogging (loads of it) or if you never make a cent. Now that you’ve gotten your niche and target audience down, it’s time to pick your ideal domain name before it gets snagged. Even though a domain name will not necessarily make or break your business, securing one now should help you focus and make blogging feel all the more real. Yay! Hear me, hear me. Mine does too but it doesnt’ matter. A free domain name to entice you costs just around $13 for that first year, you’ll have to pay the next year. I know because I did it and had a ton of trouble trying to switch hosts. Is $13 enough to lock you in to a service you may not enjoy and keep you at their mercy? Blogging best practice is to buy your domain and hosting service separately. I use namecheap, they have the cheapest price and now include free privacy protection forever (you’ll still pay for this with a ‘free’ domain name deal). You can also put up your domain name for sell if you decide you didn’t like it anyway. Talk about control. Here are some mom blog names you may like. Even though keywords in blog names aren’t important anymore it’s still great to use a word that describes what you do so people can guess right from your domain name. You may also decide to buy reliable webhosting now or wait till later. It’s better to wait a bit in my opinion, there are many things more important at this point than tinkering with wordpress. Have you noticed we haven’t gotten into the actual writing yet? Now this one largely depends on how quickly you would like to see returns from your investment but if it’s anytime soon, say the first 3 months, you’ll have to either create entry level products (usually priced below $25 dollars) , services to offer, or/and find affiliate products to promote. The best way to do this is to learn what your audience is already searching for. If you aren’t in a haste to make money however, focus on building your email list instead by creating valuable freebies. Don’t waste your time creating or promoting products or freebies people don’t know they need. How do you find out what they want? Step #2 Find the blogs they read. What questions do they ask in the comments? Step #3 Join the facebook groups they are in. What keeps popping up? Hint: You can also validate an existing idea like the ones you found in blog comments by searching a facebook group for it. Another good way to find out is to check out your competition’s product and optin freebie list. What are they already selling? What are they promoting the most (it’s already doing pretty good)? Like my Blog Plan Freebie which is incredibly successful was a version of an idea I got from someone else’s blog. Just remember to put your own spin on them. With domain names, cheaper is better. With webhosting, cheaper is 90% of the time NOT better. Each second your site is down, you are potentially losing revenue. That is why you shouldn’t skimp on webhosting bugdet. I use geekstorage to host my blog and I love them. Before I chose them OVER siteground (the best among the popularly recommended hosts), I had been monitoring reports from Michael Bely who publishes live tests of the best hosting services and geekstorage has, for years, continually outperformed siteground and other more ‘premium’ hosts. I’ve heard Lyrical Host is also a great option with lots of freebies and resources. Geekstorage is actually cheaper than siteground and fix limitations based on resources used rather than pageviews. Which means that if you optimize your site to use fewer resources, you can get away with paying for a cheaper plan for much longer. Do you even understand what I’m saying? Whatever host you choose, use Uptime Robot to monitor for downtime and always ask your hosting service support for best practices. I installed the litespeed cache plugin as recommended by geekstorage’s support team and my blog literally aces speed tests. The only con with geekstorage is that they don’t have as generous an affiliate commission as siteground so don’t expect to make tons of cash recommending them. WordPress is recommened because it is the most SEO friendly, robust, well supported option out there. 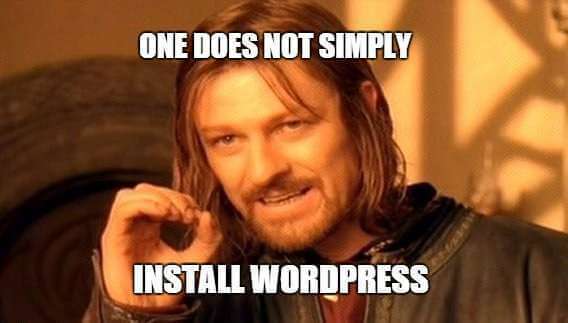 Although wordpress installation is pretty easy, I have a blog setup post which I recommend you check out because it includes other stuff above just installing wordpress. But you can use this step by step video tutorial if you prefer. Here at FBM, I emphasize branding because a great brand advertises itself half the time. Consistent colors and fonts means you are instantly recognizable and if I found got great content from you before, there’s a high chance I will click over again. Your premium content builds you a reputation that your brand solidifies. Here’s proof. Consider your audience, what would resonate with them? What does color psychology say about your colors (it’s science, it’s been proven but don’t get too hung up on it). This is especially important if you want to grow your traffic with Pinterest where you have to work really hard to stand out. The most successful bloggers use great looking photos and templates. Kara who we talked about before has a great resource library if you would like to learn how to design your blog graphics, you can enroll in her free design lab here or you can start for free with these 7 free canva pin templates. You should also check out this awesome free ebook on branding by the branding queen Dre Beltrami. So you’ve been aching to start writing right? Here is where it finally starts but I’ll warn you, it may not be as fun as you expected. Your first blog post ISN’T going to be a “Hey internet, I’m pouring my heart out here” post that will only leave your mom and sister in awe of your awesomeness. No, that isn’t how to blog. We want to start with a bang and maybe make some money remember. Even better if we do so passively right? That is why you need to create a blog plan before you even start writing. Write Blog Posts that have huge standalone value but also promote your optins, and products as valuable addons. And don’t forget to create a great about me page! The best about me pages have the power to turn one time visitors into live fans. Content is the one thing I believe can make or break your blog. You can’t get lucky with bad content. If you click over to my blog post and it’s trash, you won’t be reading it, sharing it, clicking through links and definitely will skip visiting again when you see it’s me. And so will google. I got together 10 ‘A’ list bloggers to share their secrets to creating great posts with viral posts. Here are some great ideas to help you get started. You are out to make money blogging right? This is how you do it. If your yard isn’t strategically built to funnel people into your shop and help them find the corners with products that interest them, you’ll have people come into the yard, go around in circles and leave. You’ll have people stumble into your shop by chance (probably not your target people) glance around, maybe go into the wrong corner and bolt through the nearest doors. So you need to take your blog from random to strategic, the first part of your funnel. This involves your blog structure, what is it telling people to do? Where are you placing ads… how are you using affiliate links, optins, are you shoving just anything in their faces or casually offering them valuable addons that profit you too. What tools are you using? Thrive leads, Convertkit, Mailerlite. 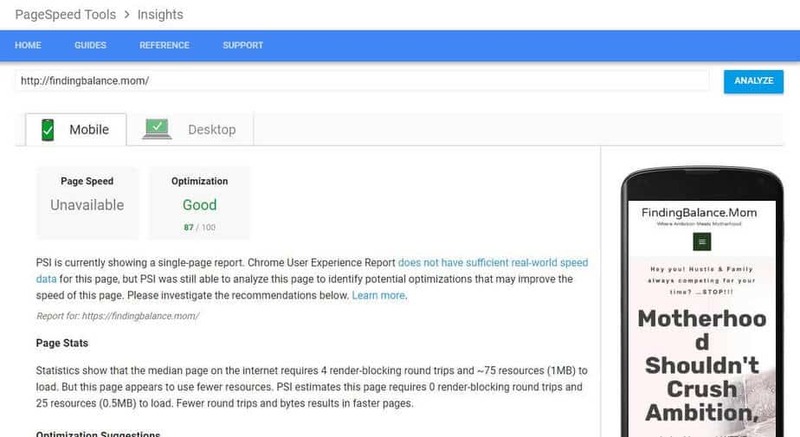 If you need help determining if your blog is properly optimized, you can request my blog audit service. That is the story of every blogger who jumps in without a view of the full picture first, yours truly included. How can you be wiser? Install social media sharing buttons – easiest peasiest most basic thing to do. I use and love Social Warfare, what a name! Install pin it buttons. Focus on one social media (Get started with Pinterest first using this awesome free course) and optimize it for quick returns but don’t neglect optimizing your blog for seo AKA make it searchable. Reach out to influencers in your niche or related niches. Feature them in your blog posts, link to their awesome content. Blogging isn’t a competition, you’ll be surprised how much people are willing to collaborate AS LONG AS YOU ARE BRINGING SOMETHING VALUABLE TO THE TABLE. Guest post for traffic, authority, new leads, backlinks (great for SEO), and most importantly, for relationships. Here’s a great guide on guest posting to help you get started. While this is by no means everything you should do to make your blog successful, if you do just half or even a third of the things covered in this post, you’ll be well on your way to blogging success. You’ll have an audience (your audience!!!) to interact with, ask what they want in emails, and pick their brains for your product creation or affiliate product choices! The best part is they’ll love you for it. All that would be left is to rinse and repeat as many times as you want. 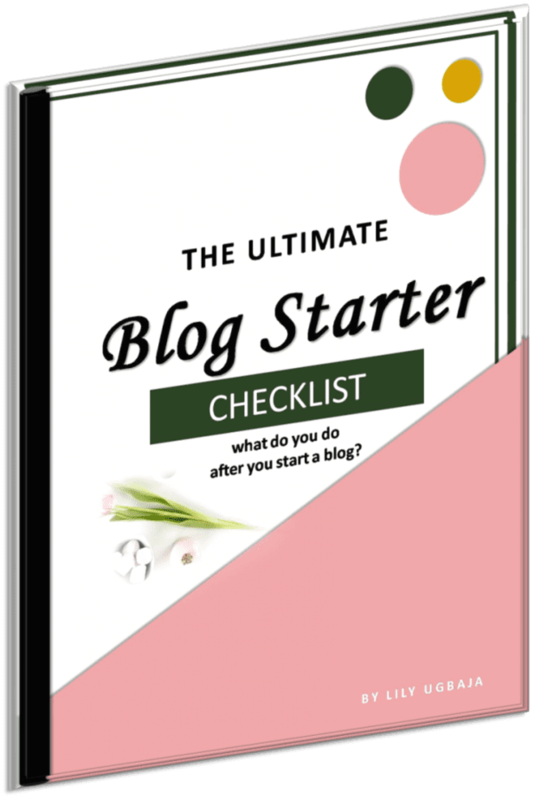 Here’s a free starting a blog checklist that includes some technical and SEO specific tasks too, let’s get you started on the right footing. Grab this checklist to start a blog the right way + get access to my freebie library and tips! Before you go, one last thing. Paid courses work better than free stuff because you stop searching and try to get value out of the money you’ve already paid. But with free stuff you figure, hey I got this awesome value for free, let me find some more and hoard em for later. The best thing you will do today is to STOP SEARCHING for the best strategy. If you’ve found one GOOD ENOUGH, just stopping searching and start implementing. John C. Maxwell said “Dreams don’t work unless you do.” and work here isn’t mapping (mapping is still part of the dream) it’s doing, ask me how I know. Hey, you’re truly God-sent!! I learnt a whole lot from this post, thank you. I want to start a lifestyle blog because I want flexibility, but you mentioned choosing a niche in TM. Now I’m not sure if that would work. It’s okay to start a lifestyle blog, in fact I recommend it since you are quite new and not sure what works right now. You just have to target one audience with your lifestyle blog instead of making it an anything goes blog. Wowwwww…. Thank you so much. I’ve been trying to start a fashion blog without success. I picked out a couple of points. Great to know this was of help Cynthia! I think the most important point on there is to find a community. It makes it so much more easier to grow. You can join mine here . Thanks for stopping by and good luck with your fashion blog. Well this is a surprise! Thank you so much for your kind words Jomona, I appreciate you taking the time to leave a comment. Hi, great article. Thanks for sharing! Some great tips here. Thanks for reading Estie! I’m glad you found it helpful.